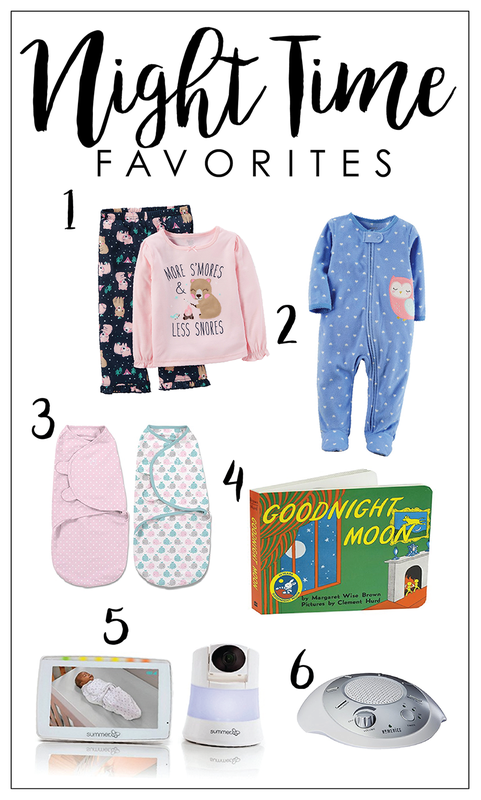 Today I want to share mine and Ramsey's favorite night time products. We keep things simple around here- which is totally okay with us. You really don't need all the products society tells you are 'must-haves.' I learned this the hard way, and I'm here to share the few products that are actually on our must-have list. 1. PAJAMA SET- I am obsessed with this pajama set! It's absolutely precious on Ramsey. It's warm, but doesn't make her sweat at night. We've got this one on repeat, and we will until she outgrows it. 2. FLEECE ZIP UP- Never buy button up pajamas. NEVER. They are so cute, but I promise you'll only use the zippered ones when you have a choice between the two. These were my go-to when Ramsey was a newborn. I definitely recommend anything zippered. They make diaper changes a breeze! 3. VELCRO SWADDLES- Don't waste your money on packs and packs and packs of swaddle blankets. These are what you need for your newborn- and they are worth every penny! 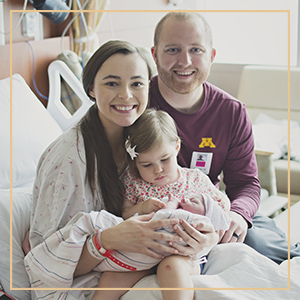 Diaper changes are quick and swaddling has never been faster/easier. 4. GOODNIGHT MOON- Ramsey loves this book! Must be something about the obnoxious primary colors that she loves. Can't not add a board book to this list. 5. INFANT MONITOR- We bought this monitor when we moved Ramsey from our room to her room. I love that the camera doubles as a night light- which you can turn off/on directly from the handheld monitor. My only complaint is that the battery life isn't fabulous. I have to plug in the monitor every night or it will die while I'm asleep (which defeats the purpose obviously..). 6. SOUND MACHINE- I don't know why more mothers don't gift these at baby showers! I could NOT have survived the newborn period without this, and we STILL use it. There are multiple sounds to choose from- Ramsey's favorite is the ocean. We don't have to tiptoe around or worry about outside noise while she sleeps. My toddler can't sleep without her yellow blankie. Great list! I love baby pajamas! My daughter is three and we still love the fleece zip ups in the winter. They are so cozy! This is so cute. Good Night Moon was my favorite gift as a child. That pajama set is adorable. More s'mores and less snores! Just too cute. I love velcro swaddles. I always give them as baby shower gifts because they make life so much easier. And yes, ONLY zipper pajamas!